To join theForum you will need to click the ‘join’ button at the top of the page and work through the joining form. You’ll be asked to provide your full name, email address and password. We’ll need this information so that we can email you an activation link. Select a unique, family friendly user name which isn’t any part of your real name. We will ask for details of your criminal record (i.e. whether you’ve been to prison, received a community order etc) and details of the offence. This will enable us to recommend specific forums which we feel may be relevant to you. Once your membership is approved, we will send you an email setting out your login details. If any of your details change, please let us know by emailing forum@unlock.org.uk with ‘change my details’ in the subject line. In the email, please provide your user name and the details you wish to change. If you can remember the details of the email account which your login is linked to, you can reset your password from theForum login page. If you know your display name but can’t remember your email address or password, then please email us at forum@unlock.org.uk. Click the small user icon to the right of your username in the top right of theForum homepage (you will need to be logged in to see your username and the user icon). Clicking the user icon will display a menu with various options related to your user account. Click the “Account” option within the menu. From your account overview page, click the ’email and password’ link on the left. You will have the option to update your ‘username’ on this page. Submit a new password and save. You’ll then be able to login using your existing email account address and your new password. Please do NOT share personal information via theForum. Sharing details over the internet with people you don’t know may lead to problems and is never a good idea. This includes not posting your full name, address, email address, telephone number or any other personal information (e.g. specific offence or conviction details) that may identify you. Unlock will never request this from you on theForum. In relation to conviction details, instead of “I was convicted for stealing £500 from [name of employer]”, you should write something like “I was convicted of theft”. If you feel that it is not possible for you to contribute without disclosing such details, you should refrain from using theForum. We take a strict moderating approach to this, and this rule will apply across the entire forum. Be sure you want to give information before you post a message. Remember that anybody can read it. All members need to be aware that when they submit information to theForum then it is visible online. TheForum can be viewed by almost anyone on the planet with internet access. Any information that can be displayed on a computer screen can potentially be saved by the person viewing it. It is not technically possible for Unlock to prevent this from happening so if you are worried about someone else viewing or saving your information then you should not post it. You will be able to edit any post you submit at any time. You can also delete your posts unless it’s the first one in a thread. Removing it would delete the entire thread. Therefore, consider carefully what threads you would like to start. Forum users shouldn’t post comments more than once on theForum. This is referred to as spamming and most forums forbid it. Where spam is reported to the moderator, posts are deleted and the user’s posting privileges may be removed. Please don’t re-quote any post you believe is spam, as this will cause additional work to the Unlock team. When moderating, we will try wherever possible to edit threads, rather than delete them, but sometimes this isn’t possible, particularly where there are repetitive breaches being discussed throughout a particular thread. How will we monitor and regulate the new re-designed forum? This enables people who visit theForum the opportunity to benefit from the information that is on there without the need to register. It is our intention that members of theForum are the only ones who can actively contribute to the community. We felt that, if registration was required to merely view the content, this would result in vast amounts of inactive members within the community. We felt that, because all theForum content is openly viewable, theForum is transparent in its content, giving confidence in the material that is included in it. Open accessibility provides a form of self-regulation, allowing any inappropriate information to be flagged up. Unlock is unable to moderate theForum 24/7, and so contributors must take responsibility for what they post, and may be held accountable for this in the future. We encourage members of theForum to ‘flag up’ any potential issues, or breaches of the rules by emailing forum@unlock.org.uk with details of the issue. We will endeavour to contact any member who’s post has been deleted to provide them with a reason for the deletion. Please accept and respect the actions of the moderator. Moderation actions are guided by the expectation that members agree to the principle of taking personal responsibility for their contributions and presence on theForum. Due to limited moderating resources, we are unable to engage in individual discussions surrounding specific moderations. As a result, questions relating to moderations will be removed. 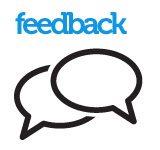 Any queries regarding moderation should be sent to forum@unlock.org.uk. What can and can’t I discuss? theForum is about debate, so go ahead and have one, especially if you disagree with something. All we ask is that you do it politely. You shouldn’t rely on information being accurate or complete. If you do, you do so at your own risk. It’s important to remember that any posting or information is the opinion of the person posting and doesn’t reflect Unlock’s opinions or attitudes. Try not to deviate from a thread topic. You’ll find that you won’t get anybody responding to you and other forum members find it irritating. If you want to discuss a new topic, please start a new thread. As part of theForum sign up process, you will be asked questions about the nature of your offence. This will enable us to link you to any relevant forum’s which allow for more tailored discussions to take place. Evidence has shown that some people are reluctant to discuss certain issues in a public forum and these private forums provide a safe space where people can talk in confidence. Unlock can not take any responsibility for any distress that may arise from use of theForum. theForum is not intended to allow individuals to contact one another directly. As a result, Unlock will not assist members in this, and will take any necessary steps to ensure that this does not take place. We encourage the exchange of useful information on theForum and want you to share interesting websites with other members. Adding an appropriate link to your posting links is invited. However, obvious promotion of, or inappropriate links to, other websites will be removed where it is felt that these are not genuine and which could be seen as marketing. We consider an ‘appropriate link’ as one that is relevant to both the posting and theForum topic. Any other links will be removed. A troll is someone who deliberately joins the forum to cause disputes. It may be a long-standing user, or someone completely new. An alter-ego is generally someone who has had their posting privileges removed and has joined under a new name to cause trouble. If you believe someone on theForum is a troll or alter-ego, please report them to the moderator by emailing forum@unlock.org.uk. You are expected to take personal responsibility for your presence and contributions to theForum. The spectrum of people with convictions is a broad one; its effect on individuals, families and friends can take many forms. Please be empathic towards each other. In moderating theForum, we will try to allow time for members to resolve difficulties/conflict themselves where there isn’t an obvious breach of the rules. This may result in uncomfortable feelings and/or the presence of difficult/challenging threads; however, Unlock feels it is important that individuals are given this opportunity. Alert us to the inappropriate post or member. This can be done by using the ‘Report Post’ alert or emailing forum@unlock.org.uk with the relevant details of the post and/or member (e.g. date/time/location/member). Encourage the poster to email forum@unlock.org.uk if they are in doubt as to the rules.